"...Custom Apex modular housing represent both cutting-edge technology and time-tested craftsmanship. Apex prefabricated homes are assembled in a controlled environment, with no chance of poor weather or late materials hindering the construction of your ..."
Information Package Large brochure with many floorplans and basic building specifications including an insert about modular home financing. Editorial Review Apex is an employee owned company that is a quality producer of off-frame modular homes that surpass traditional stick-built homes quality. The builders we interviewed about Apex Homes had very positive things to say. Our mystery shopper received a very informative and thick package of information from Apex Homes one week after filling out their online form. Their website is good and includes actual floorplans for you to review as well as their specific building specifications. They are a good overall option for home buyers and have a long standing reputation. I built an Apex Modular, Carolina Cape in Charlotte in 1994. Ray and Gary Watts were the Apex agents. Ray helped my spec the house just like I was building it myself. Nothing was a problem. Made the deal, signed the papers. I did the site grading myself while waiting for the carrier to come. Contractor came and poured the footing and built the brick and block foundation. 2 months later the house halves showed up. A couple weeks later Carolina Sets brought a truck crane and put the house on the foundation. They unfolded the roof and had it mostly dried-in two days later. After that is was like pulling teeth to get Greene General Contracting back out to finish the sheetrock, carpets, gable ends and front porch. But they did finish in a couple of months. It has been a great house. I am in the process of using Apex again to build another one. I worked with builders from five different factories to find the best solution for building our home. The Apex builder, who is their Mid-Atlantic sales manager was the worst of all. He replied tersely when I requested pricing information in advance of meeting with him. He denigrated the work of other factories and assumed that I was incapable of comparing quotes. The other four builders were extremely accommodating and acknowledged different strengths and weaknesses. I also visited two factories in my effort to build our home. I would encourage those seeking a factory and builder to look at others than Apex. There are much, much better options out there. 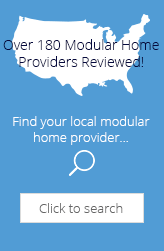 First of all, what everyone else states about finding a reputable and quality dealer/builder is essential for any modular home...same goes for any project. As far as Apex goes, I am happy with the new home that they built for us. I designed a custom floor plan and it required some tweeking by the designer at Apex, but they did a great job. My major complaint is the dealer/builder, Apple Corporation out of Plattekill NY. Sub par work. We fired his excavator and had to hire our own. When the house arrived and was set, the set crew added the necessary shingles and then took two weeks off for hunting, this we found out 2 days before they were done with the shingles. We set the house in November and here it is in April and our house is still not finished. They use contractors who work full time jobs and then show up at our house after regular work hours, often times they are 'on call'. They start work and then have to leave for an emergency call. It has been one excuse after another. I would NOT recommend this company (Apple Corp.) to finish your house. Apex is fine, but the builder makes all the difference and boy oh boy, did we find that out the hard way. The same set crew (two guys) was due to finish the interiors, install our hardwood flooring and build our front porch. Well, he started the front porch and then went to finish another job. We were then told he was injured and would need a few weeks to recover. With our deadline approaching on the EXTENTION on our construction loan, we were forced to start interviewing for other contractors to finish the work. The original crew got upset and quit. We later found that the front porch was so poorly done, with so many dangerous code violations that it had to be torn down and is now being rebuilt and we still have not moved in yet. Excuses, excuses, excuses. Make sure you find a reputable and experienced builder. Get everything in writing with stipulations of consequences if the job isn't done within a specific time frame. One more thing...no matter what. Find an excellent home inspector and make it clear to the builder that you will have the house privately inspected when they are done, and that any problems that your inspector finds...they MUST correct them. I purchased an Apex Home for my mother in 1996. It was great! She had just moved in the past 2 years to upstate New York. When she sold her Apex Cape Cod people could not believe it was a modular. Great homes. But find a good contractor, major key to a great home. I just purchased a home 3 months ago..house was built in 2005. It was a APEX home..it would give apex a 0 star but they don't go that low...I called apex about the home and got a ignorant response. I called the number from the sticker under the kitchen sink..well I don't even have the time to tell you about all the details but if you are considering a APEX HOME for middleburg,PA. Please take my advice and go some where else..this is a warning..you will thank me later. APEX HOMES are awful!! Some years ago I built and sold 3 Apex homes with good success and no difficulties. I contact them now and they route me thru a builder network. I am not a home owner we are independent builders. I want to purchase and have them set the house on our foundation and we complete the rest. NO GO. So long Apex we will do business elsewhere! I want to start by saying that Apex builts a great home.That being said,NOT ALL BUILDERS ARE THE SAME!You Apex can only start to build your new home based on what your builder provides them for specs.Apex than delievers the home to your builder,who than finishes the home.I`ve been selling and putting homes together for 15yrs and have a great word of mouth and repeat business rate.My advice is to seek a builder with a great track record along with a modular company that will stand behind your builder. So far we have built 3 homes that are ADA accessible with Bill Brown out of Southern NJ. Easy to work with. Homes are better quality than many stick built. We provide housing to folks with disabilities. We have over 500 homes in 8 states. The builder will make or break the house. We are building another with Bill Brown next month. We are so pleased with our new Apex Customized Modular home. Everything has really been done to perfection. The maple kitchen with corian tops are breath taking. It's overbuilt, at least that's what my father-in-law said. We wanted to design our new home and had that opportunity. Our builder was terrific. I purchased an Apex modular in 2004 I must say the home was fantastic and a great buy. However I wish I could say the same about the contractor. When I purchased this home it was a real pleasure to deal with the professionals at Apex. Barry was one guy that really stood out everything the Contractor left out Barry was able to correct and with his help I would recommend an Apex home to anyone . I believe the APEX product could be excellent however the contractors need to be just as concerned about the product as Apex is. I am sitting in my 3.5 year old Apex home listening to rain water drip into pots and pans inside my home once AGAIN. The builder *fixed* one leaky dormer within the first 2 years 4 times. When the other dormer started leaking a year and a half ago he suggested I call my insurance. 3 weeks later he called about sending someone by to look at the problem. By then I had already spent $1000 to have the dormer properly reflashed. Today the dormer the builder had *fixed* 4 times in the first 2 years start leaking again. I'm not even going to call the builder in fear they may *fix* it again. I'm calling a roofer to properly reflash this dormer too. I'm going to write a letter and send copies of the bills of these structural repairs to Apex home office and see if I get help......oh, yeah 80% of my floors squeak. They have from the get go. The builder stated it was part of settling. Since when does a 50lb dog walking across a floor make it squeak due to settling still after 3.5 years? I am an architect and a builder. 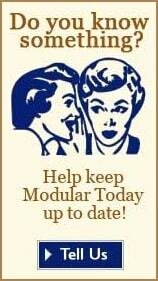 I was disappointed to find out that I could not deal directly with the company to purchase a modular. It makes no sense for me to pay a builder to do my job. Bob Barton was kicked off our job after we grew tired of his delays. Further, since APEX in PA won't bail-out Apex in GA, the workers that Apex hired to do our siding and floors are suing us. We had two liens on us as a result. All we wanted was a place to live after Katrina destroyed our old home; what we got was a nightmare. Very poor support after the delivery for defective items and quality discrepancies. Very poor choice of builder to represent their product. Builder walked off or project, therefore they felt they had no responsibility to back up their product. We invite you to share your personal opinion of Apex Homes of PA, LLC. Please explain your like or dislike.